For over 20 years Michael & Kim have been involved in a variety of ministries including camp ministry, children’s ministry, youth ministry and short-term missions. Before being called to Cornerstone they spent eight years at Lighthouse Community Fellowship in South Butler, NY, the last four of which they served as the youth pastors. During this time, they began to feel that God was calling them to the NEPA region. In the fall of 2016 they visited Cornerstone for the first time and quickly knew that this was where God was calling them and in February of 2017 they were installed as the Pastors. Their passion is to see people connect with God and live out their destiny. They have two children, Alison and Noah. 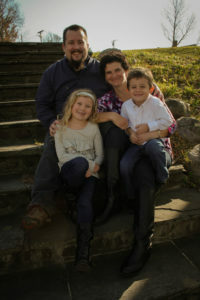 In addition to pastoring, Michael and Kim are both employed full time in the marketplace. Michael leads a small technology solutions company and Kim is an assistant teacher.